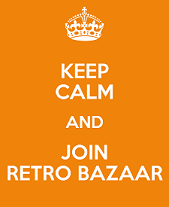 Retro Bazaar is expanding looking for a part-time general assistant to join our team. We are an independent Retro & Vintage business located in Milton Keynes; specialising in restoring vintage and retro technology, selling at shows & on the web. We are looking for someone who will fit into our team; be flexible and willing to turn their hand to various tasks. Weekday work, no evenings but the odd weekend if needed. Days worked can be flexible but must be 4 hours a day/ 3 days a week. Applicants must be computer literate ideally with a working knowledge of MS Word. Knowledge of selling on eBay preferred. If you think you’d be suitable please email jobs@retro-bazaar.co.uk , attaching a copy of your CV and including a few lines about your experience and why you think you’d be suitable.